Overwatch: Is Platform Based Balancing Working? Prior to Overwatch’s release, it was made abundantly clear that Blizzard would be balancing the console and PC versions of the game separately. On paper, this seemed like a reasonable course of action (even if somewhat unprecedented), especially if you consider Overwatch’s fast paced nature and how relatively easy it is to aim on PCs. 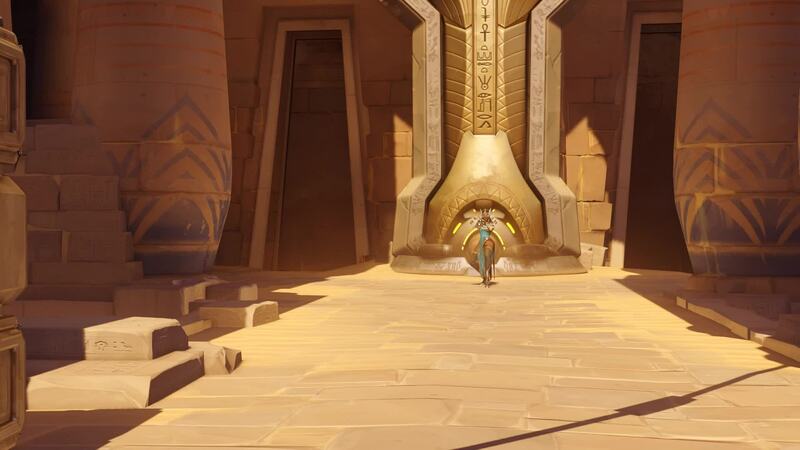 With the release of Overwatch’s second major update (which introduces a new hero, Ana Amari) however, it appears as though Blizzard’s platform based balancing may have hit a snag. According to Blizzard’s patch notes for the update (which can be seen here), most of the changes that have been implemented on the console version of Overwatch are identical to the changes that the PC version received with one small exception: Torbjorn and Symmetra’s turrets both received a 30% damage reduction. While the nerf to Torbjorn’s turrets are (arguably) necessary, the change to Symmetra’s turrets is rather odd. Oh look, a shield that protects you from stray bullets that likely wouldn’t have killed you anyways, how lovely. Compared to Torbjorn’s turrets, Symmetra’s turrets have a grand total of one health each, an effective range of maybe 10 feet, and (individually) they do just enough damage that your character is slowed from how much it tickles them. Obviously, they are nowhere near as effective as Torbjorn’s turrets, which have perfect accuracy, 300 health, a maximum effective range of 40 meters, and can gain missiles upon the activation of Torbjorn’s ultimate ability. 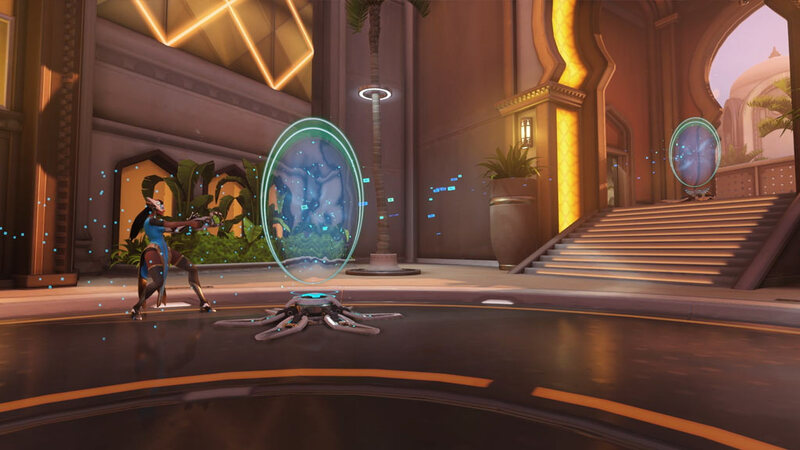 Collectively, Symmetra’s turrets can lock down a room or a small path, but a single Winston can destroy them as if they were nothing more than a nest of ants. Unfortunately, Symmetra’s nerf isn’t the first instance of a hero being adjusted on consoles despite how most people deemed such changes unnecessary. In Overwatch’s first balancing update, Widowmaker had her damage reduced; an action that served to make her more fair to play against on PCs, but it was generally considered to be detrimental on consoles due to how relatively difficult it is to aim using a controller. Naturally, this made Widowmaker borderline useless for most people on consoles. Similarly, a 30% damage decrease to Symmetra’s turrets not only makes it harder for her to damage people, but it also makes it more difficult for her to set up her teleporters. With such a cascading effect, it is likely that Symmetra will only be useful for harassing Reinhardts, making it incredibly hard to justify picking her over another hero and (frankly) making a character that was on the weaker end of the spectrum even weaker. At best, this would force anyone who plays Symmetra to stay much closer to their turret nests to supplement their damage with her fairly lethal gun, but this may not always be practical. At least the teleporter itself is still useful, though one could argue that your team wouldn’t need it if you picked a more lethal character to begin with. Of course, there are all kinds of conceivable reasons that led to Symmetra being nerfed despite there being no complaints about her. Perhaps Blizzard felt as though console players lacked the accuracy required to hit something that is just a little bit bigger than a mango. Perhaps they have some hidden statistics that indicated that she was a little bit too effective. Either way, Symmetra was generally only picked for very specific situations on very specific maps; compared to the rest of Overwatch’s long list of heroes, she was not a very popular pick, which only makes her nerf even more bizarre. Nobody knows the reasoning behind this change (for now), but it would be too early and irresponsible to say that Blizzard is purposefully neglecting the console version of Overwatch. After all, it only took Blizzard an hour or two to rectify some (console exclusive) bugs that were introduced in the latest update, which made Mei’s Ice Wall ability game-breakingly broken and rendered Overwatch quite literally unplayable on the Xbox. Yes, Torbjorn did get nerfed specifically for consoles so that you have more of a chance against his turrets, but as of now, it certainly gives the appearance that updating Overwatch for consoles is akin to taking a step forward in exchange for taking two steps back.